2015-2016 announcements are finally in. Steven Humes sings König Marke in a new, fully staged production at Théâtre des Champs-Élysées in Paris. He returns to the role of König Heinrich at the Royal Danish Opera. 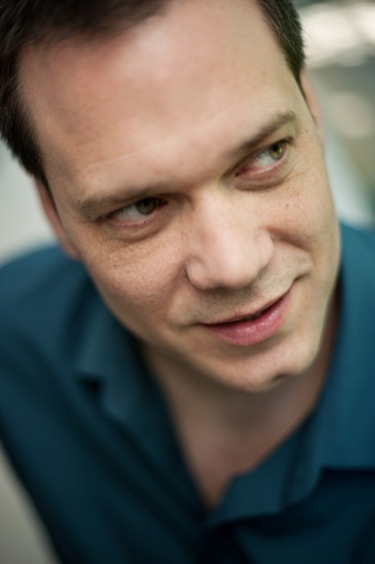 19 June 2015 — On board with the 2015-16 season at Théâtre des Champs-Élysées, Steven Humes will sing König Marke in Tristan und Isolde with Daniele Gatti conducting. This fully staged production by director Pierre Audi will also feature Torsten Kerl as Tristan, Emily Magee as Isolde, Brett Polegato as Kurwenal and Michelle Breedt as Brangäne. In January, 2016, Mr. Humes returns to a familiar role as König Heinrich in Lohengrin at the Royal Danish Opera in Kopenhagen, conducted by Alexander Vedernikov. Also in the 2015-16 season Mr. Humes will be performing Fafner in a concert version of Rheingold in Odense, Denmark, Banco in Macbeth in St. Gallen, Switzerland and Beethoven 9 concerts throughout Italy. 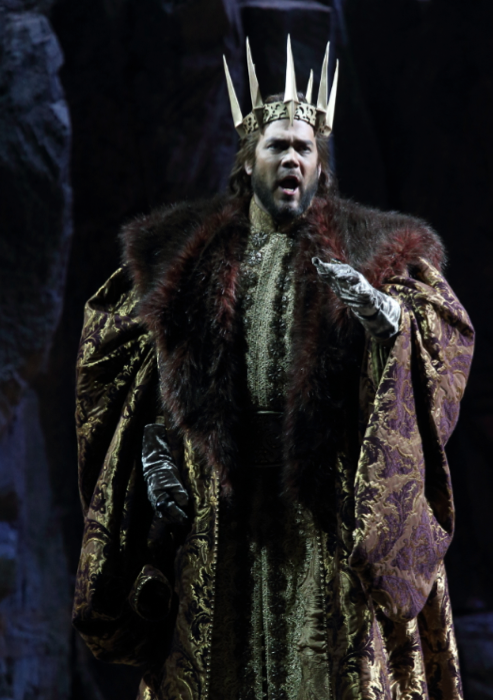 This past season and on extremely short notice Steven Humes jumped in as Vodník in Opera Roma’s troubled waters. In their season opener of Rusalka he was praised as having a beautiful bass voice, a strong stage presence and his aria was, as the French say, un modèle d’équilibre. Speaking of the French, Steven joined Oscar winning actress Marion Cotillard (along with famed French actors Eric Genovese and Christian Gonon) on a tour of Honneger’s Jean d’arc. This multi-city run culminated in four final performances in Avery Fisher Hall with Alan Gilbert at the helm of the New York Philharmonic. The positive reviews keep pouring in of Steven Humes’ interpretations of Fafner, Daland, Commendatore, Hunding, et al. In the recent revival of the RING in Geneva, his “solid bass” was hailed as “henceforth THE Fafner” of major productions. While words to describe his craft include stentorian, powerful, deep, sterling bass with moving and impeccably clear diction, he also continues to garner the highest praise of “best cast” and the one singer who “dominates the distribution” of roles. 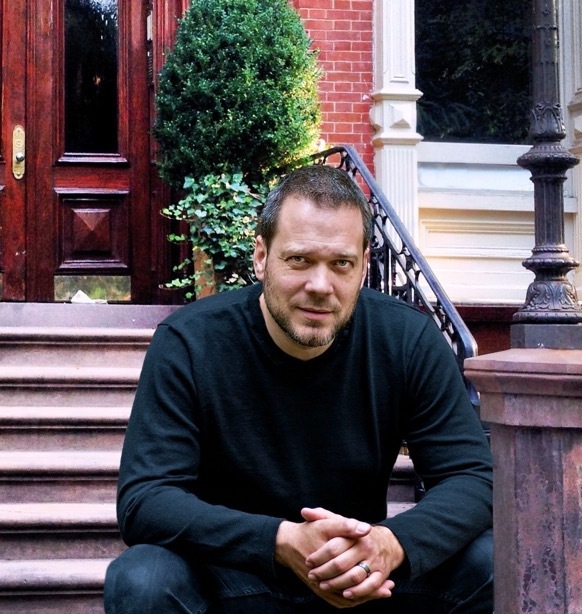 On Short Notice, Steven Humes joined Opera Roma as Vodník in Rusalka in November. His 2014-15 Season Also Includes Konig Karl in Fierrabras at the Théâtre Royal de la Monnaie in Brussels, Commendatore in Don Giovanni in Boston, Honneger’s Jean d’Arc in Monte Carlo, Toulouse, Paris and New York City. 31 August 2014 — Everyone’s all about that bass! The positive reviews keep pouring in of Steven Humes’ interpretations of Fafner, Daland, Commendatore, Hunding, et al. In the recent revival of the RING in Geneva, his “solid bass” was hailed as “henceforth THE Fafner” of major productions. While words to describe his craft include stentorian, powerful, deep, sterling bass with moving and impeccably clear diction, he also continues to garner the highest praise of “best cast” and the one singer who “dominates the distribution” of roles. One of the highlights of Steven’s 2014-2015 season is his role as bass soloist in Honneger’s Jean d’Arc. With Academy Award winning Marion Cotillard as Joan of Arc, this semi-staged concert series conducted by Alan Gilbert and Kazuki Yamada will be performed in Monte Carlo, Paris, Toulouse and New York’s Avery Fisher Hall. A busy singer this season, Steven will join Thielemann in Dresden for the revival of Arabella. In Brussels, Steven also will have a role premiere of Konig Karl in Schubert’s Fierrabras conducted by Ádám Fischer. Steven Humes' 2013-14 Season Offers Ring Cycles in Geneva, Monte Carlo; Flying Dutchman in St. Gallen; Concerts in Bonn; Arabella with Thielemann in Salzburg. 9 July 2013 — Since the great success of Steven Humes as König Heinrich in Lohengrin last season in Beijing, the "stentorian bass" Opera News has seen many new doors open in the Wagner arena. This Fall marks his house debut in St. Gallen with a return to the role of Daland, celebrating a return of Der fliegende Holländer to St. Gallen after a 40 year absence, this time under the baton of Modestas Pitrėnas. Last season Steven was the "perfect Wagnerian interpreter" at Torino's Teatro Regio with his Daland that was dubbed "solid bass". "His perfect diction of the German language, its impeccable projection, made us appreciate each syllable of his singing." Resmusica. Steven enjoyed many outstanding reviews for this past season's performances of Das Rheingold (Munich, Geneva), Siegfried (Munich) and Die Walküre (Palma de Mallorca). After being "magnificently cast" as Fafner in Geneva's Das Rheingold he returns as the dragon in Geneva's Ring Cycle with Siegfried this Fall. The entire Ring Cycle will play again in May 2014. Steven Humes' 2012-13 Season Offers Ring Cycles in Munich and Geneva; König Heinrich in Beijing; Concerts in Torino and Palma de Mallorca; Wagner, Wagner and More Wagner. In November Steven travels to China to perform another role premier as König Heinrich in Wagner's Lohengrin at Beijing's NCPA. Steven then returns to Hamburg for Sarastro in Die Zauberflöte followed shortly by his first interpretation of Fafner in both Das Rheingold and Siegfried in the Bayerische Staatsoper's RING. Steven's second RING of the season will be again as Fafner in a collaboration with Dieter Dorn in his much anticipated Das Rheingold in Geneva. Siegfried will follow in 2013-14. Spring sees Steven In Paris (♪ ♫) returning to the Théâtre des Champs-Élysées as Commendatore in Mozart's Don Giovanni and performing his first Hunding as the Teatre Principal de Palma celebrates in concert form Wagner's Walküre in Palma de Mallorca. As a local favorite in Munich, this July Steven returns once again to the world famous Bayerische Staatoper Festspiel for repeat performances of Das Rheingold and Siegfried.